The Private Internet Access is an internet firm located in the US; however it is unique because the mandatory data retention laws prevailing in the US do not apply to them. For this reason they are able to offer guaranteed anonymity to their customers. We have performed various tests with this company’s service and found that it truly offers unbeatable connection speeds, an easy to use VPN service, a compatible user’s privacy concept and of course competitive pricing. All these aspects make it a tough contender. There are a few glitches, however; for instance it uses 256-bit OpenVPN encryption and has no money back or free trial offer for the first time customers. Nonetheless, the price and speeds with which it is available, still makes it a really good choice. You can click here for sign up and for more information. Here is a video that would help you learn more about the Private Internet Access. Unlike others that we have discussed so far, Private Internet Access only has one package to offer to its customer and that too for $6.95 per month. However, they do offer a discounted rate ($3.33 per month) to their customers if they opt for the yearly plan at $39.95. In this package, you get access to 18 servers (199+ gateways) located in 9 different countries, out of which some are in the United States and the rest are in UK, Europe and Canada. You also get OpenVPN with L2TP IP and PPTP IP. Socks5Proxy is also offered in this package and it is useful for customers who wish to connect to a BitTorrent client without first connecting to VPN. This keeps the customer’s identity hidden. And if you are looking for even more privacy then connect to the VPN first. So far, so good. What we didn’t like, though, was the fact that they had no free-trial period and similarly no money-back guarantee for the first time users. Let’s talk about their website and their customer service. You can see that a lot of professionalism has gone into designing their website. Moreover, it is very easy to navigate and to understand all the features. There is also a classy promotional video that would help you somewhat. You can get in touch with their customer service either through the online chat system or through the ticketed email method. We tested their response by asking about the US office hours and got a reply soon enough. By the time we got the reply, their live chat came online as well. so it is safe to say that their customer support is quite efficient. We must add, though, that their FAQ is not up to the standard. Since the company is based in the US, there is really no need to hold on to the log traffic or to supervise the activities of the users. Furthermore, their system uses shared IPs which makes it almost impossible to track each and every activity and to match it to the user. Disposable email addresses and anonymous Bitcoin payment methods are encouraged as the payment data and email addresses are kept in the logs. The OpenVPNprotocol , which is the standard protocol of Private Internet Access, is certainly more secure even though 128-bit version is used. What you will find worthy with their connection is that they try their best to limit DNS leak and also protect the users’ identities in the case of auto-disconnection when the server goes down. For a competitive price, Private Internet Access offers a very good service which is secure and respects user’s privacy. As compared to all the other VPN providers that we have so far reviewed, the signing up process was the easiest with Private Internet Access. No information was required from our side to set up an account. The only thing that you will have to do once you sign up and decide to make the payment through PayPal for which you will be directed to the PayPal page and that is it. They encourage payment through Bitcoin and do ask for your email address but then again, a disposable email address is recommended for that purpose. Here are the wide choice of payment options that you can choose from. Once the payment is done, a confirmation email is promptly sent to the email address and after that instant download can start. Installation of VPN client on Windows was absolutely stress free. The settings page pops up soon enough. What you will enjoy is the fact that your username and password would be already correctly filled up to save time. When you proceed to the advanced settings, you will find that it is also a very simple but the turn on DNS option and the VPN kill switch are good additions. If you press the VPN kill switch button then your computer’s internet connection will be abruptly halted and it will prevent the BitTorrent from downloading additional files from your device and from revealing your identity. You do feel the need of more information about the different servers, which is absolutely missing on the website. This however does not affect the speed so it is fine. When you selected your preferred settings, a small robot icon will appear in the task bar as shown below. Take your mouse on the icon and make a right click. Different server options will appear from which you can make a selection or have it select for you automatically. It is as simple as that and you will be connected. We used the Private Internet Access with our (10mb) UK broadband and here are the speed tests results that we obtained. The results were more than excellent. 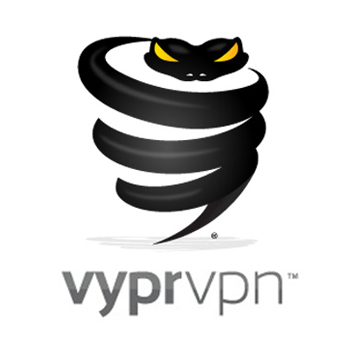 Private Internet Access offers dedicated VPN clients for OSX, Windows, Boxee Box, Android, iOS and DD-WRT. We decided to check the connection with our Android phone first. The setting up was simple as easy instructions had been provided. Manual entry for some of the settings was required but it wasn’t a big problem. Right after entering the password, we waited no more time and put it through the speed test. The results were good on Android as well. There is no money back guarantee and free trial period. All in all, we thought that Private Internet Access had a flawless VPN service. There are a few uncertainties but nothing that would affect its performance. With the connection, you get security, speed and ease of use. The service is definitely recommendable without the 256-bit OpenVPN encryption.